Multi-tenant environment with pay-as-you-grow scalability, ideal for heavy, unpredictable and even small workloads. Colocation in one of our state-of-the-art data centers lowers cost and increases availability. 100% SLA offered. Carrier grade internet access for business delivered on your premises. IP Transit, point to point links and custom solutions available. Openstack offers unprecedented interoperability between cloud providers. This is why we love openstack. It is the futureproof choice for tomorrow. Established in 2008 to be a powerhouse in IT services and emerging technologies. Focusing on highly skilled employees and customized solutions at competetive pricing. We provide cloud and colocation services using only the best-of-breed data centers available in Norway. We primarily focus on delivery of colocation services and cloud in the Oslo area. Oslo is the heart of Norwegian infrastructure and even outperforms geographically closer alternatives due to national network topology that route most traffic through Oslo regardless. Thus Oslo offers the best combination of low cost, high quality and unsurpassed connectivity in the Norwegian market. Our data centers are ISO-certified by well known authorities to ensures both quality and compliance. Among these are ISO9001, ISO14001 and ISO27001. We produce our own Infrastructure-as-a-Service (IaaS) solutions based on our own network and data center services. This allows for unsurpassed flexibility and hybrid solutions to meet custom and transitional needs. We believe open standards is the future. Because of this we believe in helping our customers choose open solutions to avoid vendor lock-in situations. We believe that the customer should want to stay with our services because of our excellent quality and service, not vendor lock-ins. As a traditional ISP we operate our own regional fully redundant high-capacity fiberoptic network. This is a core asset enabling us to provide high grade services with end-to-end responsibility. Our network services are designed around the lowest latency we can achieve. As an ISP we are committed to use the best local and global network connections available and never to compromise on capacity and latency. All services and systems are monitored 24/7 by our in-house staff who have intimate knowledge of our operations. Our 24/7 in-house on-call staff enables us to provide 24/7 on-call emergency services to our customers. 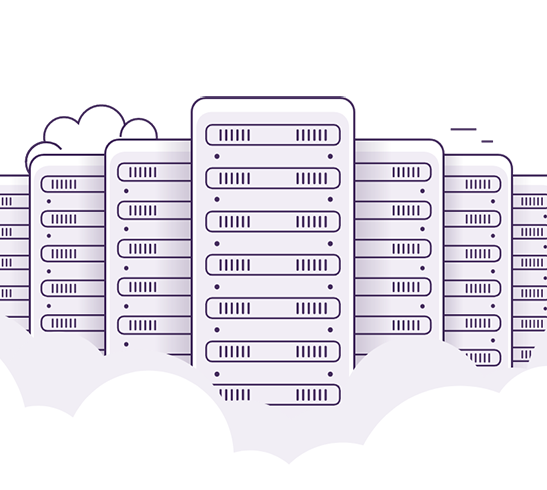 We offer a wide range of services that is not detailed on our webpage, among these are managed hosting, hybrid cloud solutions, dualsite colocation, IP-transit, wavelengths, offsite backup, VPN service, robust anycasted DNS and more. We believe in employing the best people we can get, who has a no nonsense attitude about quality and workmanship. We strive to have a dedicated and knowledgeable staff that can efficiently implement and solve any customer needs. Feel free to contact us for a meeting or a chat about our services. Quality services since 2008. Specializing in data center, server management and infrastructure services.